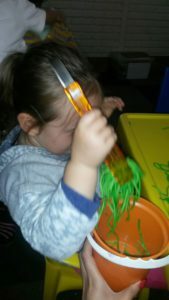 Well, for the sensory and tactile development of pre handwriting skills. We are developing hand strength and left to right movement. 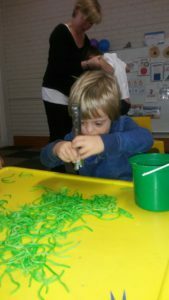 Children learn to grasp the worms with tongs and post them into a container. 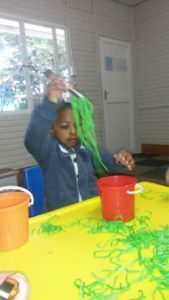 It’s about developing coordination through incidental learning while having fun at the same time.